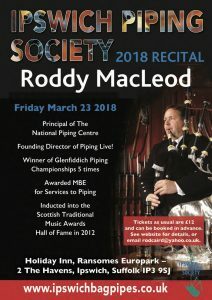 I would like to purchase two tickets for the Piping recital on Friday 23 March please. Could you confirm availability and how I should proceed. No problem, Elaine, and thanks – I will put you down for two tickets at £12 each and you can pay at the door. 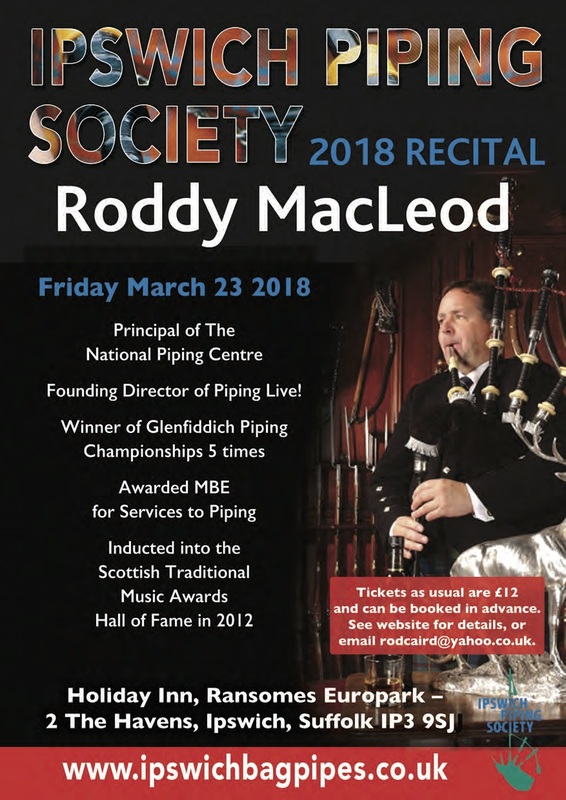 If you need to contact me, just use rodcaird@yahoo.co.uk. See you next month! Thank you for your swift response. We will look forward to joining you on 23 March.